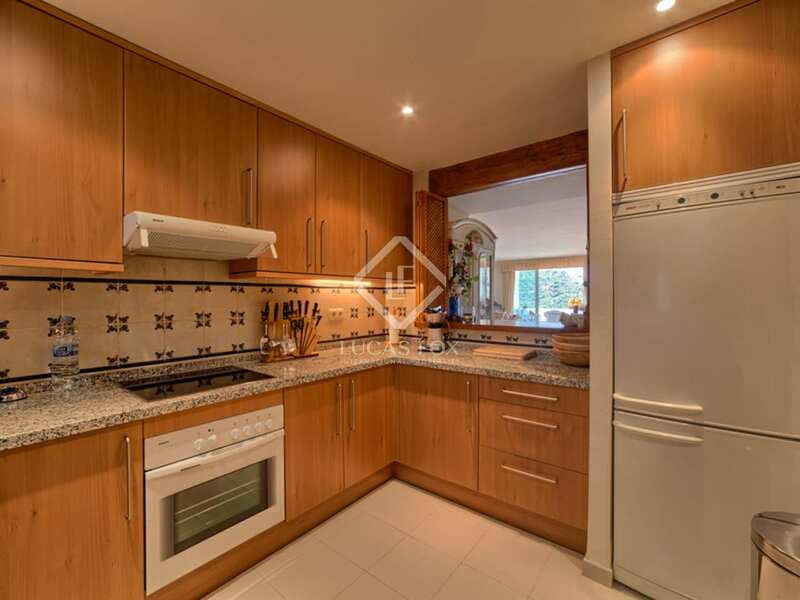 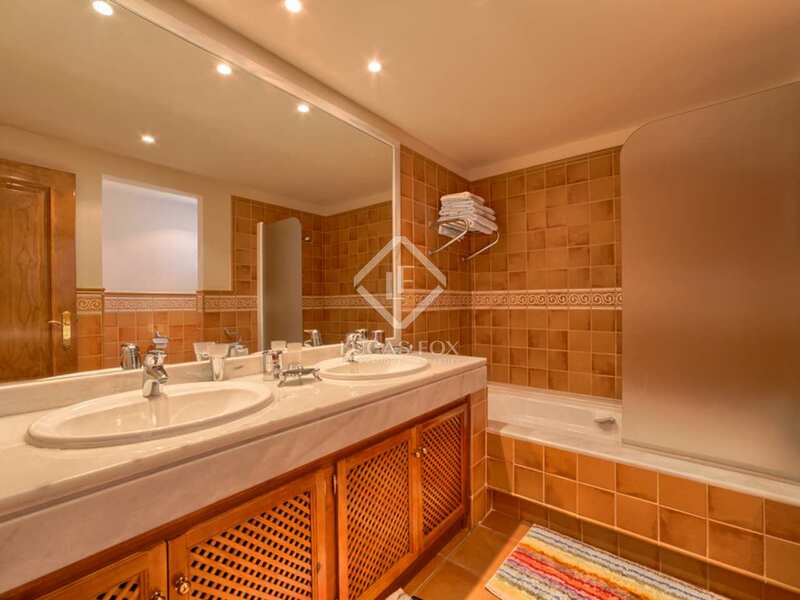 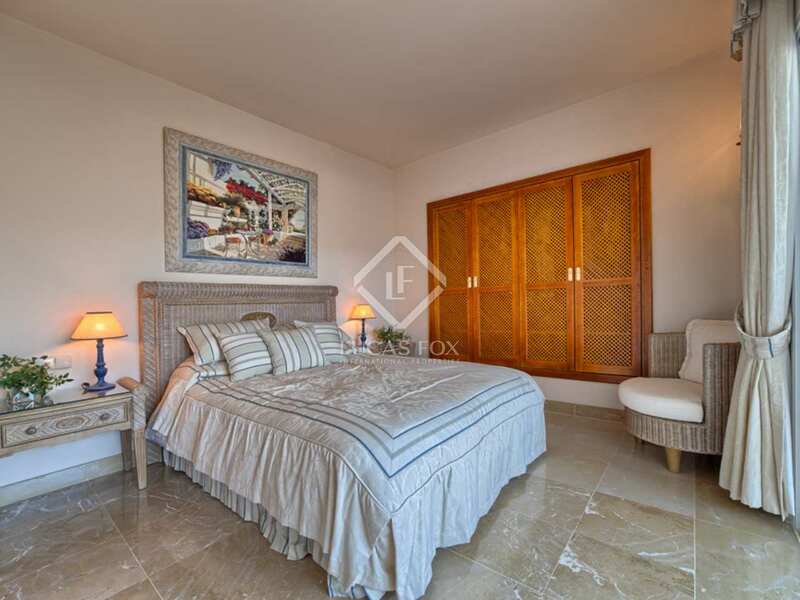 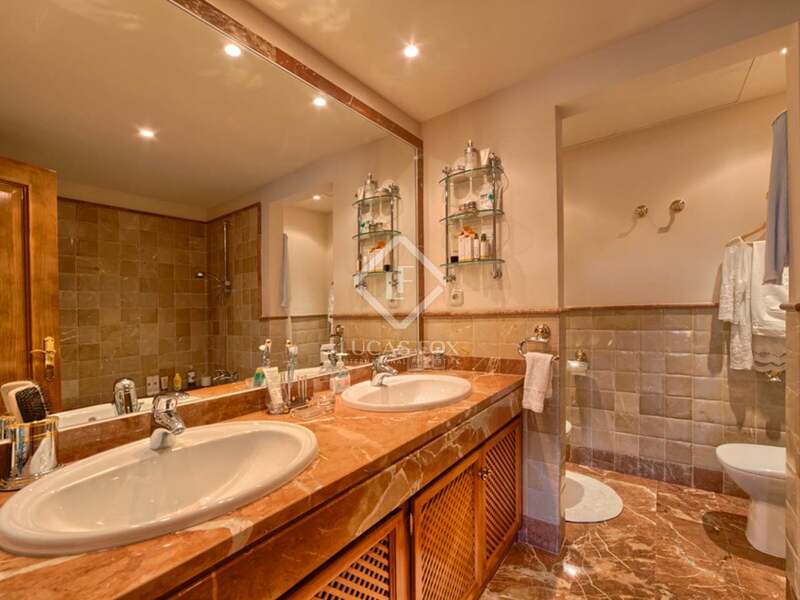 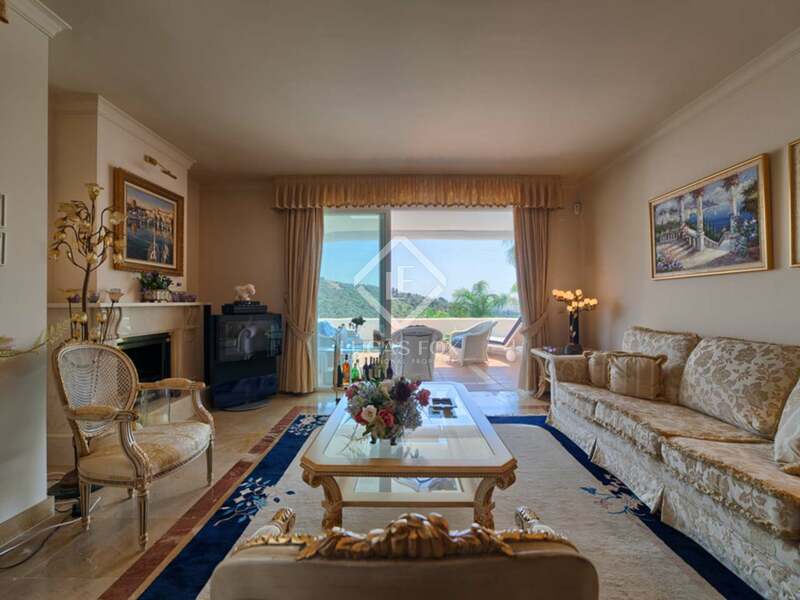 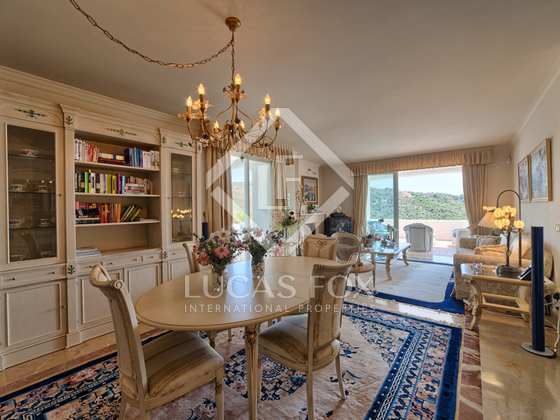 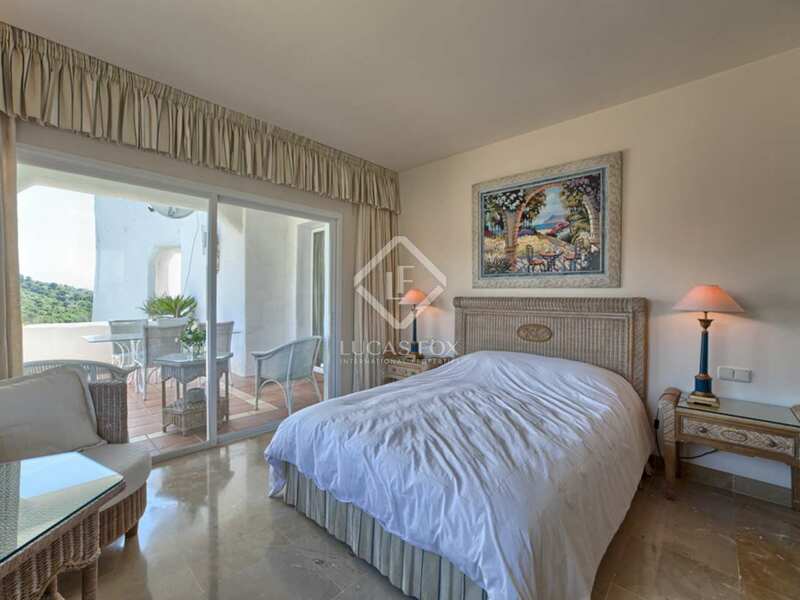 This luxurious and spacious 3-bedroom ground floor apartment is located in a sought-after golf development next to La Quinta Golf course and close to all amenities. 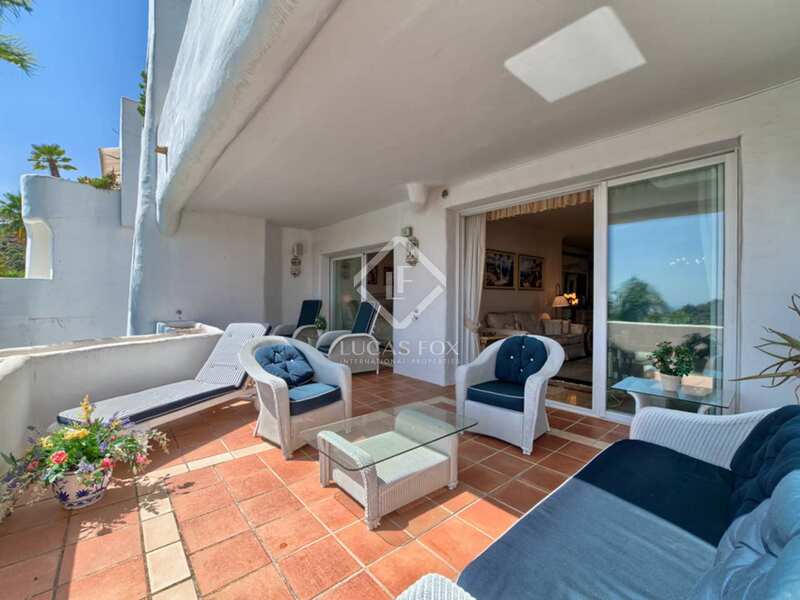 The nearest supermarkets and schools are less than a 10-minute drive away and the beach can be reached in 15 minutes. 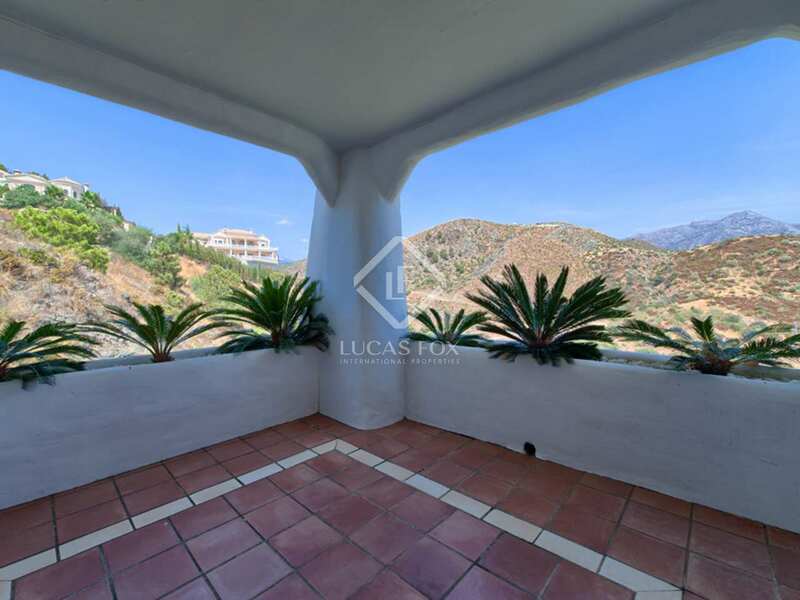 The apartment is a south-facing corner unit on the ground floor which, due to its elevated position, offers great views over the golf course, the mountains and the sea in the distance. 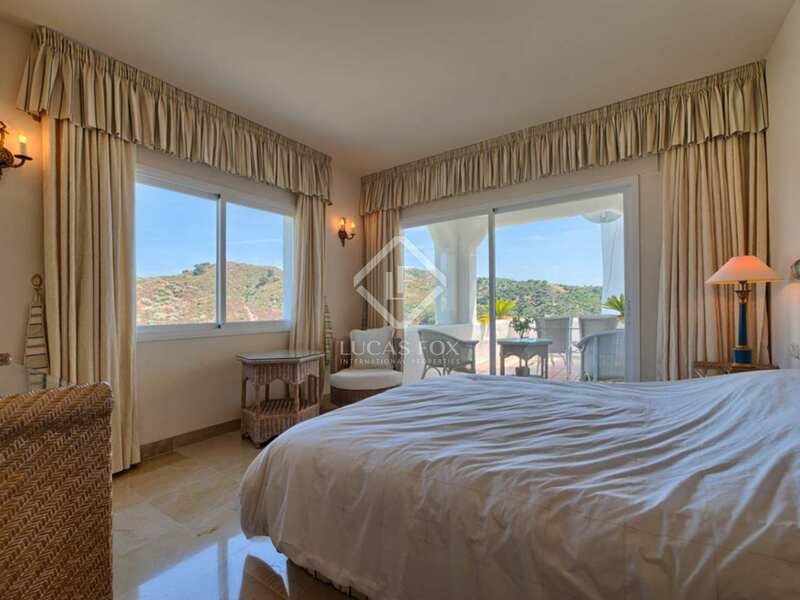 The property comprises a large living and dining area, fully-fitted kitchen, utility area, master bedroom suite, 1 guest bedroom suite and 1 bedroom with separate bathroom and direct access to the covered and uncovered terraces of 71m². 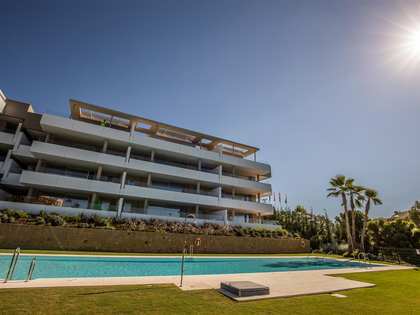 The property features hot and cold air conditioning, underfloor heating in the bathrooms, sattelite TV, barbecue area, cream marble flooring, fireplace and alarm system - The apartment also includes a private parking space and a storage room. 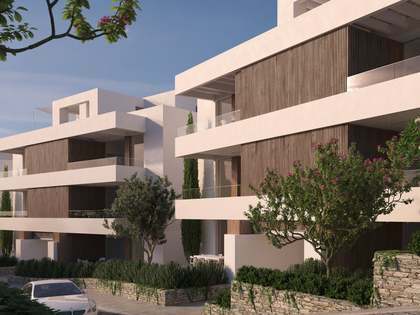 The gated development boasts beautiful communal landscaped gardens and swimming pool. 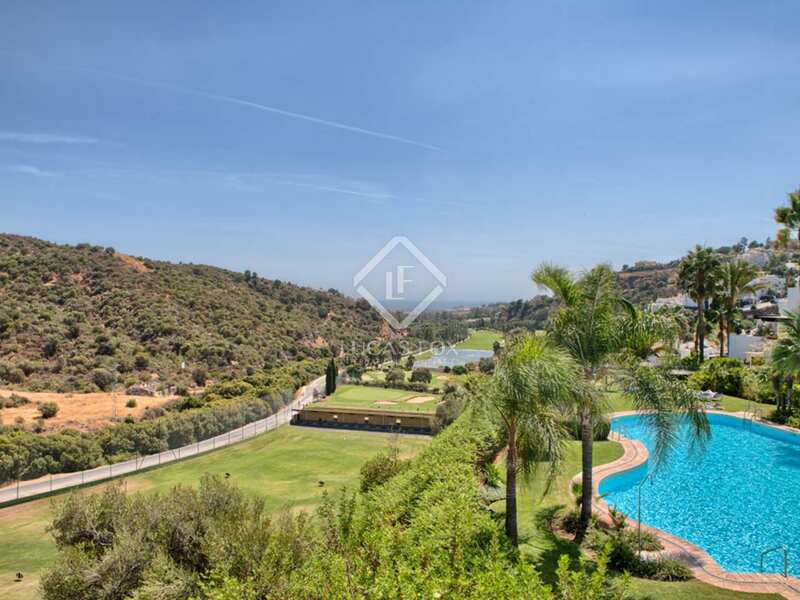 La Quinta Golf is situated in the municipality of Benahavis at the border of Nueva Andalucía near Marbella. 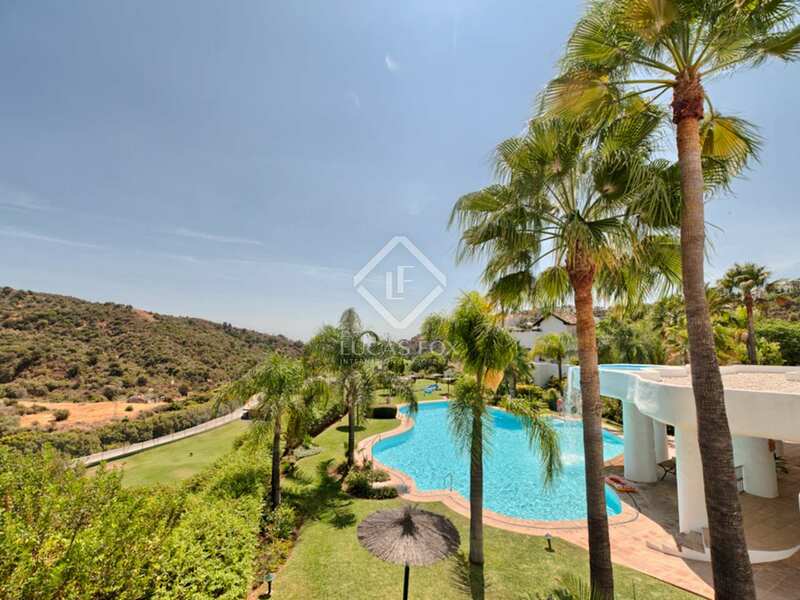 Nueva Andalucia is known locally as the 'Golf Valley' due to the number of golf courses surrounding the villas in the area. 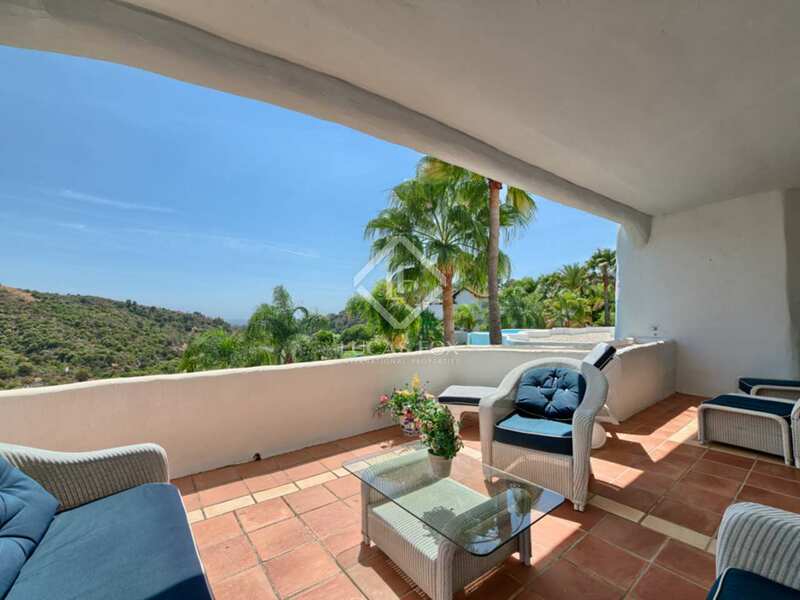 It is a beautiful and well-maintained area, just 5 minutes from Puerto Banús, and boasts fantastic views of Marbella's iconic La Concha Mountain. 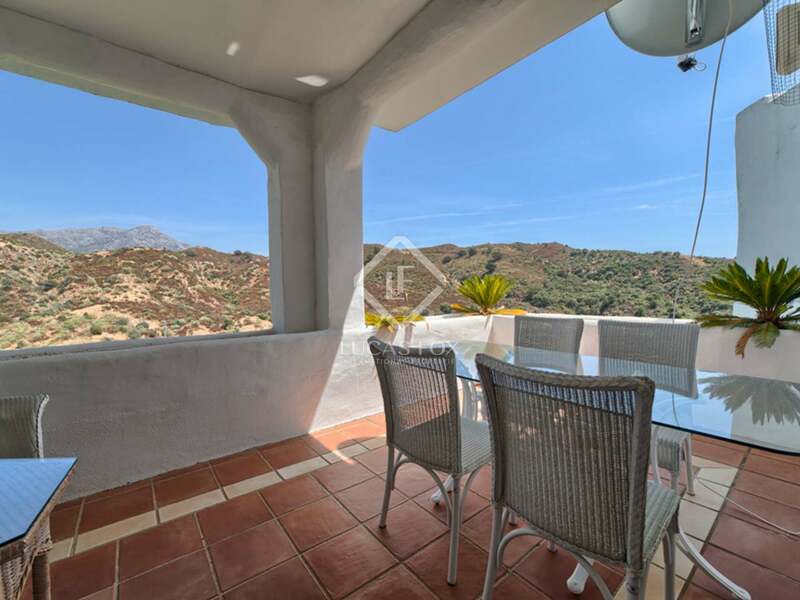 There are numerous cafés and good quality restaurants in the area, as well as the 5 star H10 Andalucía Plaza Hotel and the Casino Marbella.